We have a new face at Arbor Company - Michelle Hamilton, our Senior VP of Operations! Watch our episode of Senior Living LIVE as we get to know Michelle, why her mother was a huge reason she works in senior living, and why she is going to miss the smell of chocolate. Watch below or read the transcript of our conversation. What should you look for when evaluating a senior living community? What questions should you be prepared to ask? 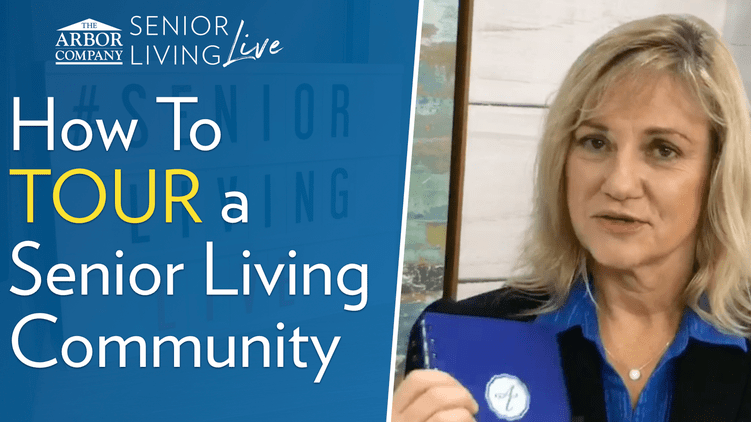 In our recent Senior Living LIVE broadcast, we talked with Karen DeMarco, Senior Care Counselor at Arbor Terrace of Burnt Hickory, about the things you can do to prepare for a senior living community tour. Watch below or read through our transcript.